This page will explain both how Solar Panels work, and how the FIT scheme works. Cloudy day or not, the sun gives off light. Solar panels work by converting the light provided by the sun into electricity. The current then goes through the meter into your home’s consumer unit. You receive payment for every unit of electricity you generate under the government’s Feed-In Tariff (FIT) scheme whether you export it to the national grid or not. The Feed-In Tariff (FIT) scheme was introduced in 2010 to incentivise business/homeowners who invest in solar panels. It comes with guaranteed tax-free payments for 20 years, calculated from the date of the installation of your solar system. The FIT scheme consists of two elements – The generation tariff and the export tariff. This tariff pays you the current FIT rate – depending on your system size – for every unit of electricity your solar panel generates, regardless of if you use it or not. If your system is under 30 kWp, your electricity provider assumes you use only half of the electricity generated, and exports the half back to the grid. Hence, the tariff pays you the current FIT rate for a unit of electricity equivalent to half of what your solar system generates. When you install a solar PV, the current rate is locked in for the duration of your 20-year term. Therefore, you won’t be affected by any regressions in the future. The FIT rates are currently set to regress at a fixed price every three months. However, if the installation cap set by the government for a particular banding is met in that period, the rate for that banding can significantly reduce more than the planned regression. Note that the Feed-in Tariff Scheme is scheduled to close in April 2019 for new registrations. 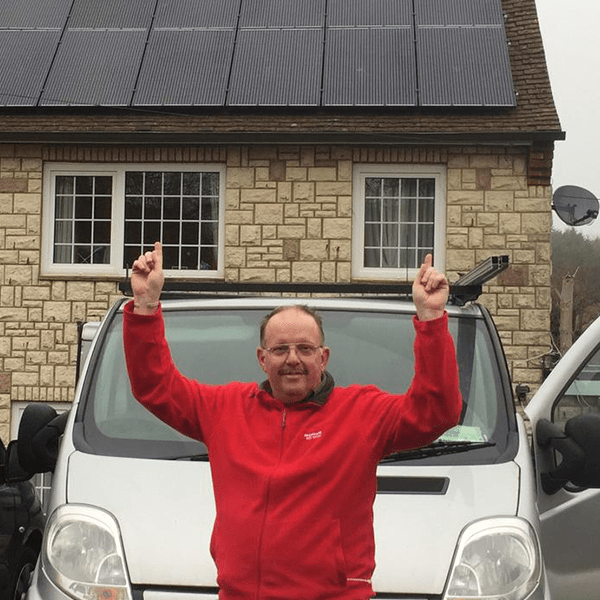 How Do I Claim The Feed-In Tariff? To claim the tariff, you must meet certain criteria and go through some other procedures. REST will guide you through the requirements and procedures so you can start earning and saving. The solar PV can significantly reduce, and in some instances, eradicate energy costs by generating free, green energy. With solar power, you are off the national grid during daylight hours, hence saving thousands of pounds on energy. What’s more, you also get paid under the FIT scheme. A south facing roof with a four kWp (14 panels) PV system would allow you up to 4500 kWh per year dependant on your postcode area and pitch of your roof. Income from FIT scheme + Energy savings = £808.92 per annum.